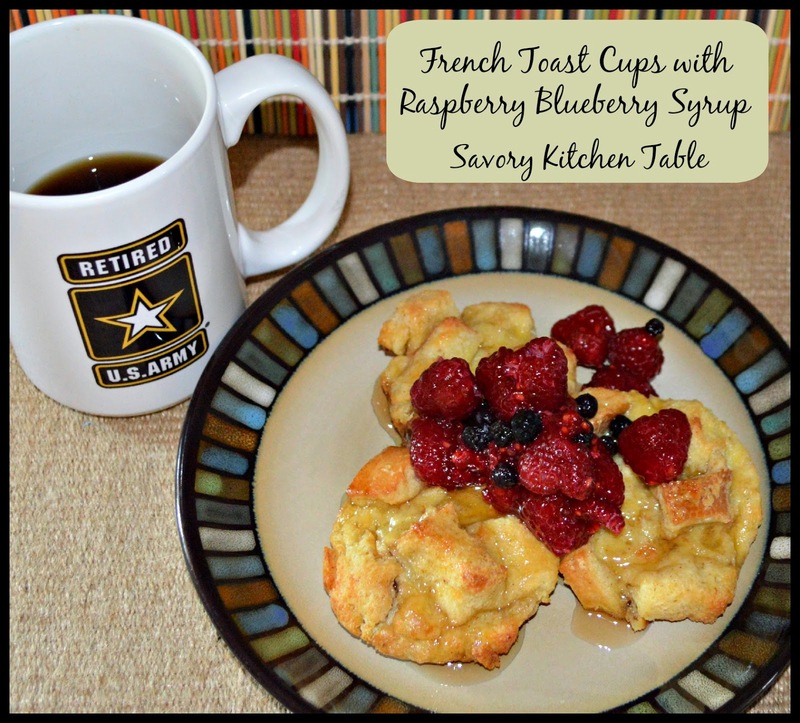 Gently mix together raspberries and blueberries. Sprinkle with 2 tablespoons sugar and set aside. Whisk eggs, vanilla, half & half, cinnamon and salt together until well blended in a large measuring cup - (you'll want the pour spout). In a large mixing bowl toss together the butter and bread pieces until well coated. Spray muffin tn with non-stick cooking spray. Distribute bread into muffin cups evenly. Pour egg mixture evenly into muffin cups. Sprinkle sugar evenly over each cup. Bake 20-30 minutes until golden on top and egg is set. Cool on rack a minute before plating. Gently fold together raspberries and blueberries to mix well. Plate 3 muffins per plate. 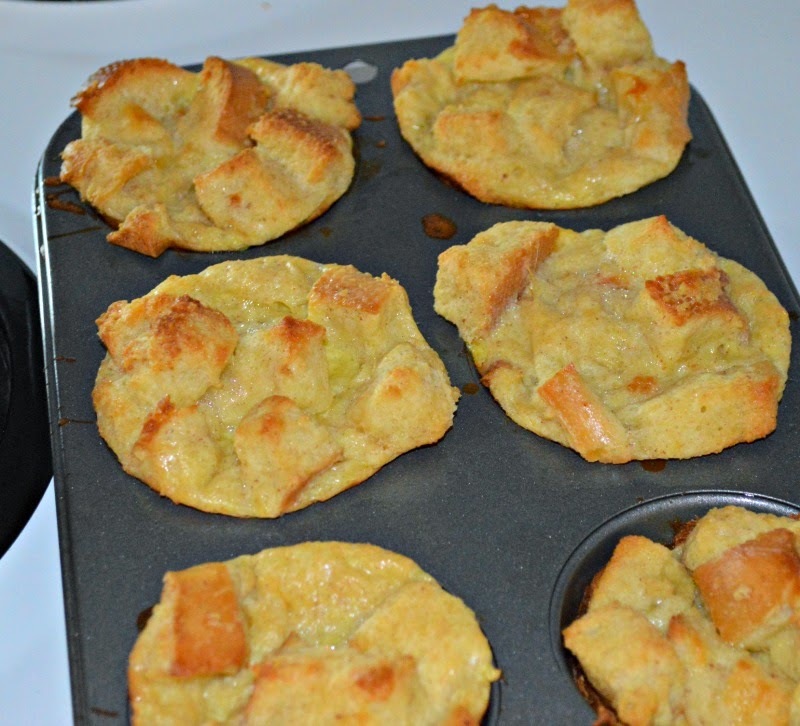 Pour 1-2 tablespoons of warm syrup over muffins. Add a spoonful of raspberry mix. I use a slotted spoon to avoid excess moisture. * I used 1 cup whipping cream and 1/2 cup 1% milk since it was what I had on hand. **I like these blueberries because they are much smaller. Sounds like a perfect brunch! It was! Simple and yummy too - perfect for a Brunch Buffet too.